Are there historical inaccuracies in the Koran? One of our guest speakers was Kerby Anderson. Mr. Anderson is the National Director of Probe Ministries International. He holds masters degrees from Yale University (science) and from Georgetown University (government). He is the author of several books. He serves as the host of a radio program called "Point of View" which is broadcast nationally. Mr. Anderson's topic at our conference was "The Challenge of Islam" (watch). Let's talk just for a minute about how to deal with Muslim ideas, what the differences between Islam and Christianity are, and how you can witness to your Muslim friends, neighbors and co-workers. Firstly, it's important I think that you point out the differences between the Bible and the Koran. There's a fundamental principle that you learn if you've ever taken a class in philosophy, and it's the Law of Non-Contradiction. If "A" is true, the opposite of "A" cannot be true at the same time and the same way. So, if the Bible says one thing and the Koran says something completely different from it, they both can't be true. Does that make sense? They both could be false, but they both cannot be true. I think this point is very helpful in witnessing to Muslims, because Muslims very early on after Mohammed died began to realize that some of the things he taught were actually contradictory to the Koran. Very early on Muslims came up with the idea that the Bible had been corrupted by the Jews and Christians. Of course, the problem with that claim is that there's absolutely no evidence of that. As a matter of fact, there are places where Mohammad actually endorses the Bible, and the Bible he endorses in the Seventh Century is the same Bible exactly we've had since the First Century, so when could that corruption have actually taken place? It's important to recognize that just from an apologetics point of view (defending the Christian faith), that the Bible is confirmed by history and archaeology. Archaeology, the archaeologist's spade, and the historical tools ever show that the Bible is true. By contrast, history can show that the Koran is false. For example, one of the classics is that the Koran teaches that Jesus did not die on the cross. That's a pretty big difference from what the Bible teaches, isn't it? Muslims will say that Jesus didn't actually die on the cross, but an imposter died on the cross instead. Jesus eventually died, of course they'll say, but He's going to return again. Islam believes in the return of Christ, but they believe that He's going to come and destroy all churches, all crosses, and all pigs. He'll eventually die and be buried next to Mohammad. That's certainly a little different than what the Bible teaches, isn't it? You can see right off the bat that there are differences in the two accounts. They both can't be true. One of them by definition has to be false. Another historical event that Islam gets wrong is its claim that the Samaritans tricked the Israelites at the Exodus. That's kind of a problem in terms of just basic interpretation, as the Samaritans didn't even exist until post-Exile. They also claim that Alexander the Great was a Muslim who worshipped Allah. Well, we could go and on with all sorts of different examples of historical inaccuracies that I think illustrate again how the Bible and the Koran cannot both be correct at the same time. One of the points that I love to use with a Muslim student is to ask, "Do you not understand that your Koran and our Bible disagree? They both can't be true." Then I go to with, "Let's now see what history and archaeology say about the truthfulness of the Bible." After that I'll ask, "What does that say about your Koran?" Now, I wouldn't say that overseas, as you could get killed asking that, but over here student sometimes are much more open to that kind of discussion. 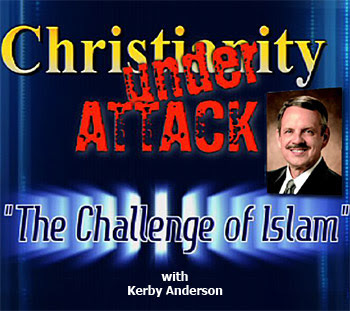 In the last segment on the challenge of Islam, Kerby Anderson compares and contrasts Islam and Christianity's claims to the character of God, Jesus, sin and salvation. This is sort of off topic but a subject I must share because of the magnitude of its importance in relation to the coming Gog/Magog battle! The desire of the West which includes the United States, N.A.T.O. and their Sunni allies to militarily intervene in Syria has little to do with humanitarian concerns and more to do with potential petroleum resources. The recent discoveries of large deposits of shale oil located along the Israeli and Cyprus coastlines identify a large field or resources extending even along the Syrian, Lebanese, and Turkish coastlines. These resources are reportedly huge even causing this area to be termed the "New Persian Gulf"! It is believed that the West desires to dispose of Assad in an effort to control these resources in exchange for security gurantee's and economic partnerships! Russia, Iran, and China are fully aware of the true intentions of the West in a bid to offset the energy monopoly Gazprom and their conglomerates now enjoy! Turkey has joined with the Western alliance in a bid to extend their area of exploration to include territory assigned to Cyprus! Under these parameters we now realize why the West (Merchants of Tarshish, young lions, Sheba and Dedan) seek to identify the intentions of the Gog/Magog invasion force in capturing a spoil and seeking a prey! The hooks are planted ladies and gentlemen and very soon, the West will commit to seeking to intervene militarily, this will result in a full mobilization of Russia and Iran along with many of the Shanghai Cooperation Organization (S.C.O.) membership to defend Syrian territory! Libya and Egypt and other North African states will be allied with the West under the direction of the Sunni Muslim Brotherhood! Jordan will at this time be the gathering point of many antisemetic bands in participation of the March on Jerusalem projected to take place on the March 30, 2012! The Battle of Gog/Magog is swiftly coming as the participants are being gathered on the borders of Israel by the hand of the Lord God! Those listed among the Psalm 83 coalition will be present in this conflict. Once the forces are gathered for/against the Assad government then will Gog be determined to invade Israel as this evil thought enters his mind! While Russia and Iran and many others gather themselves in Southern Syria and seek to move against Israel the Lord God will pour out his fury upon all these gathered forces, first in a form of a great earthquake as recorded in Ezekiel 38:19,20 which will result in the decimation of Damascus and the entire sector of Southern Syria in fulfillment of Isaiah 17!! The failure of the West to respond to the mobilization of Russia, Iran and company in opposition to their planned campaign against Syria will allow them to examine Israel as easy prey for the taking! The picture is now clear and the prophecy will be soon fulfilled and our time here is significantly short, may God grant us the ability to minister the Gospel to many before the time of our gathering! Aha!!! I asked yesterday if anyone thought that the recent discovery of natural resources in israel was the hook in the jaw for the gog/ magog conflict!! 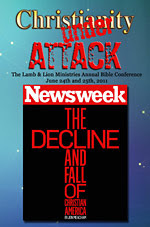 I believe we will very soon be seeing some major bible prophecy come to pass!!! How incredibly exciting! Rodney, btw... thank u for serving to protect our country and the people in it. My late husband served in the 101st airborne in vietnam 69-71. Susie, thanks for sharing!! I imagine you could say the same as my wife, that your husband never talked about his experiences! Hope to see this fellow Paratrooper in glory!! Rodney, actually quite the opposite. But each person deals differently. Unfortunately i could relive his experience by proxy ..
Russian troops are now in Syria! Billy, not quite the full mobilization yet, it is soon coming! As the days approach the Passover many nations will be gathered to the borders of Israel where the Lord God will judge them! Nathan, I am sure you are not yet convinced that Gog/Magog is coming and that Psalm 83 and Isaiah 17 are included within this conflict united as one! I will tell you my brother, by the end of this month however there will be little room for doubt! Tell Dr. Reagan to examine Ezekiel 38:21 and then tell us if he is still convinced those nations surrounding Israel as identified in Psalm 83 are not included in the Gog/Magog invasion! Rodney, can u explain (simple) to me your point of view on isaiah 17? Go easy on me... i agree with u that gog/ magog is at the door.... what i dont understand is the destruction of damascus. i no one thing for sure. These natural resource disvoveries must be the hook in the jaw. I believe the rapture is going to happen very soon. Susie, Isaiah 17 documents the destruction of Damascus, present capital city of Syria! "THE BURDEN of Damascus. Behold, Damascus is taken away from being a city, and it shall be a ruinous heap"-Isaiah 17:1. Many scholars suggest that this destruction will be a result of an Israeli nuclear retaliation from a supposed Syrian chemical attack yet this I wholeheartedly disagree with! Isaiah 17:7 records the following: "At that day shall a man look to his Maker, and his eyes shall have respect to the Holy One of Israel". Obviously, the deployment of a nuclear weapon would not cause such and acknowledgement of the might of the Lord God. In addition when we examine the current strategic ties between Syria and Russia, we can easily identify that any nuclear attack on Syrian territory by Israel would no doubt result in a Russian retalitory strike against Israel! As I have commented before I believe Psalm 83, Isaiah 17, and Ezekiel 38/39 are but one conflict! Isaiah 17:12-14 pointedly document a confederation of nations rapidly deployed against Israel yet as they are prepared to battle, suddenly they can not be found! Jeremiah 49 also documents the destruction of Damascus and declares, "Therefore her young men shall fall in her streets, and all the men of war shall be cut off in that day, saith the Lord of hosts"-Jeremiah 49:26. Now you might ask, how is the destruction of Damascus accomplished? Currently many nations are being gathered to the northern borders of Israel, in particular Syria! The Lord God indicates in Ezekiel 39:5 that the Gog/Magog confederation will fall or find their end in an open field. I believe this open field to be the ancient Plain of Bashan where exists dormant volcanic cones as well as the presence of huge amounts of ignesious rock! This Plain of Bashan is located in Southern Syria near Damascus and adjacent to the Israeli held Golan Heights. "And behold at eveningtide trouble; and before the morning he is not. THIS IS THE PORTION OF THEM THAT SPOIL US, AND THE LOT OF THEM THAT ROB US"-Isaiah 17:14. Susie, you are very welcome!!! It was good to see that Mark Hitchcock also acknowledges the content of "Isralestine" is a fable that many sholars continue to embrace and endorse, including Dr. Reagan of Lamb and Lion Ministries! Susie said "...Rodney, can u explain (simple) to me your point of view on isaiah 17..."
Susie, jest to stir the pot a little, here's one of the more conventional "Isralestine" POVs of the I17 war by Dr Jack Kelly to offset Rodney's stuff. Please take notice that Jack points out that most of the middle vs between 1 & 14 have already had their fulfillment in the past. This indicates that Israel will prevail mostly intact and will 'own' her enemies, expand her borders, and as the rest of the stunned world will be wary & unsure of how many nukes she may still have in her arsenals, she will dwell safely for a while to meet the preconditions for E38-39. Also note at the end that this is an update [07-15-06] of an earlier version so many scholars have watched this develop for quite a while. Some people just like fairytales!!! I have labored to show all what is to come yet still I am identified as ignorant and not even in comparison to those listed as scholars! I remain however confident based on what has been revealed and I know without a doubt that it will surely come to pass! The question is, will you hide yourselves in that day being ashamed trusting in those men bearing titles, provided by other men? Do not be ashamed for it is the Lord God that makes those counted as fools to be wise, consider the Disciples of our Lord and David a young shepherd boy!